It is blustering cold here. My oldest has a snow day and I want to stay wrapped up in my bathrobe and drink coffee all day. I have wedding soup cooking on the stove and the house smells immaculate as the wind gusts bang against our windows and the girls clang around in pretend high heels and frozen dresses. As a new season of resolutions and goals begins, my husband and I have really made a commitment to cut out snacking and eating out in the New Year. Evening snacks are our nemesis. We used to be in a very good grove when it came to preparing a meal plan, eating clean, not snacking past 8pm and limiting our eating out as a family to one time per month. But, life happens. Right. It throws you for a loop and some of our good eating habits sustained through a difficult season while some of the negative ones returned. You learn from setbacks and mistakes and use them as knowledge to become better. One thing I love to do is prepare meals for lunches and freeze them. Easy and quick to grab when you are in a rush and this also prevents my husband from buying his lunch. I feel the winter can be a hard time to fit your daily serving of vegetables and soups are a great way to get those servings of vegetables in. I created some of my own chicken broth by boiling the entire chicken in water; enough to cover it a few inches. I cooked on medium to low for 2-3 hours. I removed the chicken (carefully) and let it cool. I bought a Ninja last year at target and am in love with how it dices the vegetables for soups and salads and it is a huge time saver. I placed the carrots and celery in the ninja one at a time and diced them up. I ladled out any remaining chicken and made sure the broth was ready for cooking. I added the 3lb can of broth and diced veggies. Once the chicken was cool I shredded it and added it back to the pot of soup. Add meatballs, Romano cheese, salt, pepper (to taste), and escarole. Cook the carrots and celery until soft. Boil the pound of pasta separately and strain. Add to soup once cooked and ready. 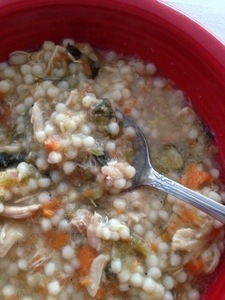 Enjoy, What’s your favorite winter soup? 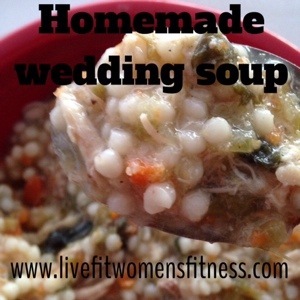 Hope you will enjoy this Wedding Soup recipe and that it keeps you warm on this cold winters day! Fitness Tip: 1 cup of escarole is rich in fiber, vitamins K, A, and C. It can help aid in prevention of osteoporosis and hypertension. Dark leafy green vegetables like escarole may produce healthy eye health and prevent development of cancers. Quick post this afternoon as I need to squeeze in my workout still today (Back and Biceps). We been preparing for Christmas and my husband has been remodeling our kitchen in the mist of the holiday season. The days have seemed so long lately as we are missing our sweet Angelina Hope so much. We have been trying to document and create family traditions to help celebrate Angelina as we decorate, bake and wrap presents with the girls. 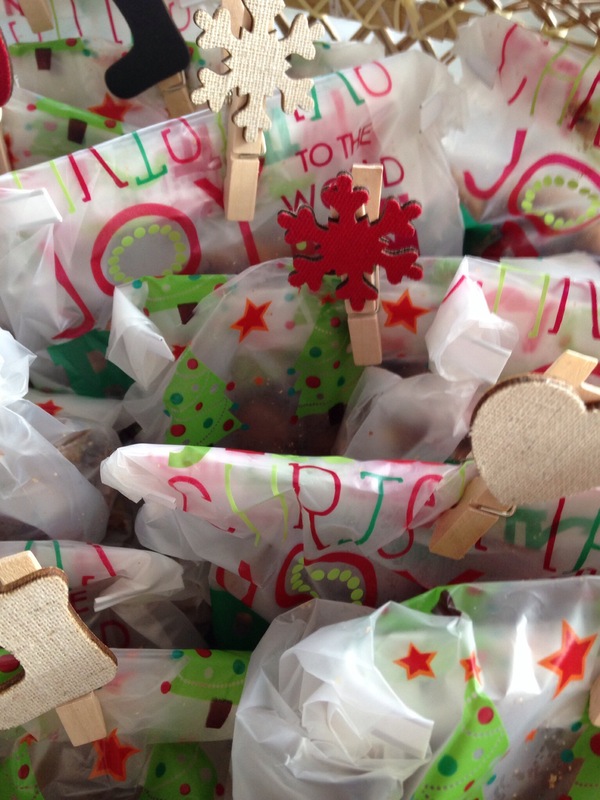 Today I made my homemade Granola and packaged it in these adorable little gift bags for my training clients and for a Christmas cookie exchange that is being hosted by one of the other girls that teaches aerobics at our gym. 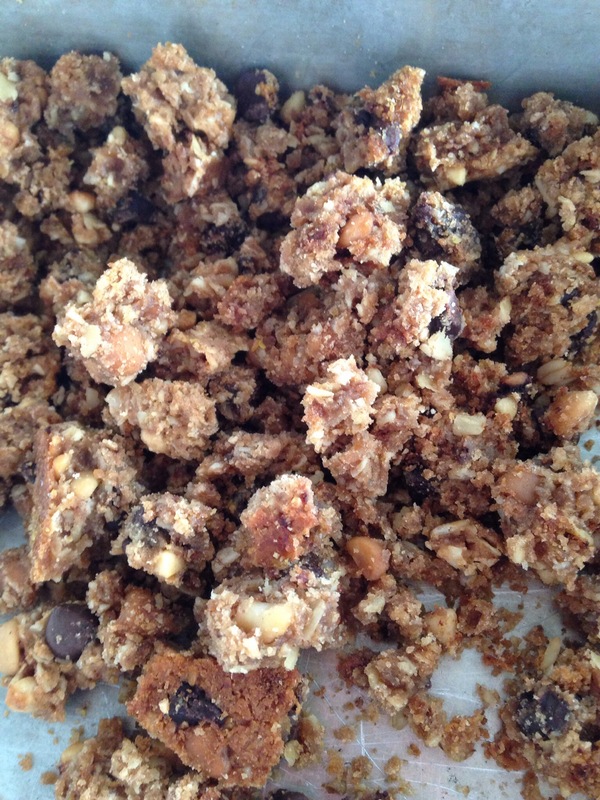 Below is the link to the recipe for my homemade granola recipe: I love making big pans of this recipe and placing the crumbled up granola in little snack baggies to throw in my gym bag or purse for a quick on the go pick-me up and in my chobanni yogurt. 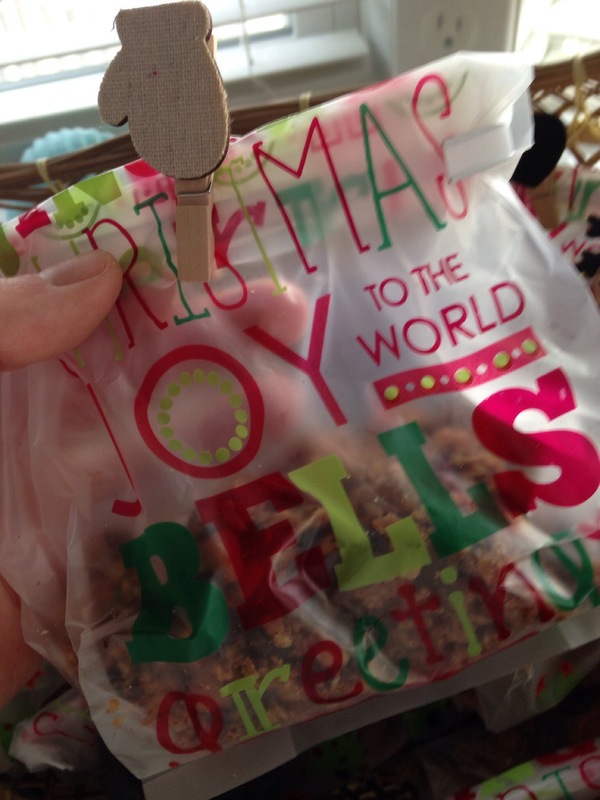 I got the gift bags at a local Giant Eagle for $1.99 and the small clothes pins at Micheal’s for .99 cents. Are you attending a cookie exchange this year? what is your favorite type of cookie to make? Do you make favors for any of your holiday parties? Please share your idea’s and favorite cookie idea’s in the comments section below!